It is with great sadness that the Museum notes the passing of Prudence (Prue) Miller. Prue was a special member of our Museum community. She demonstrated her love of art through active participation in programs and events, as well travel to other cities with fellow Museum supporters to help bring exhibitions to Portland. Prue was a member for nearly 30 years, a Director’s Circle member for eight years, and a member of the Ella Hirsch Legacy Society. 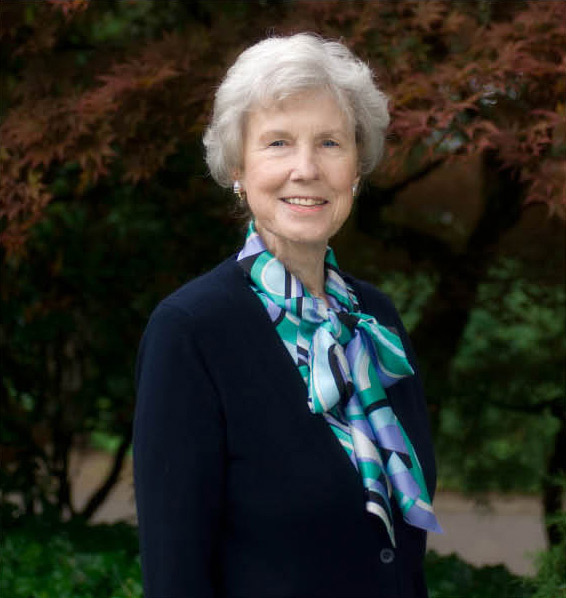 She served on the Portland Art Association board, organized exhibition openings, and continued her generous support of the Museum over the ensuing decades. The most public symbol of Prue’s generosity is Roy Lichtenstein’s iconic Brushstrokes (1996) sculpture, which graces the corner of the Mark Building. The landmark piece is currently undergoing conservation treatment to restore it to its original beauty. She also supported many important exhibitions and their associated education programs, including most recently Venice: The Golden Age of Art and Music and The Art of the Louvre’s Tuileries Garden. This is truly a loss for the Museum and our community. Prue Miller will be greatly missed.